The modern bathroom is now designed to incorporate the luxury features of these locations into the contemporary home. The emphasis is firmly on relaxation and easing the stresses and strains of everyday life, with the bathroom now serving as a refuge rather than a purely functional space. This has placed bathrooms high on the list of spaces to renovate in the contemporary home, with the kitchen the other high spend area for homeowners. 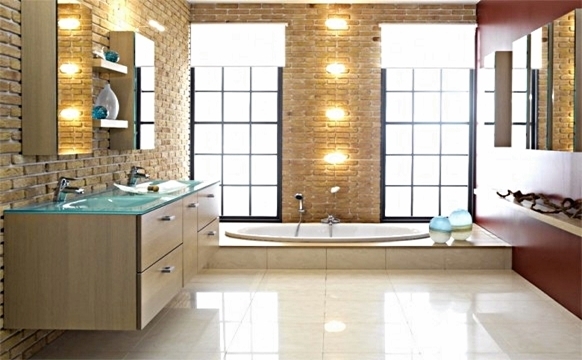 But what elements do you need to consider when renovating your bathroom? Cabinetry Bathroom storage is crucial for toiletries, medicines and linen, so don’t skimp when specifying your cabinetry. This is typically in the form of a vanity which houses your sink, or if you need additional space integrated or freestanding cabinetry which can give you additional flexibility. Tiles still dominate bathroom flooring, with darker shades adding a sense of luxury and contrast to lighter walls. If your bathroom is on the small side, consider lighter tiles to match the walls – this will give you the illusion of more space. Engineered stone is also making the move from the kitchen into the bathroom, as floor and wall tiling, as well as a durable surface for vanities. Floor heating is also worth considering, especially to take the edge off the chill underfoot in winter. Lightning is crucial to enhance the mood of any bathroom, and here you need to consider task, mood and general sources when planning your renovation. Recessed LEDs are proving popular as a form of mood lighting, boasting a high energy efficiency and low maintenance. Showers have increased their footprint as the time-poor among us opt for shorter showers rather than longer soaks in the bath. If you are looking to increase the sense of space in your bathroom then frameless and semi-frameless screens should be at the top of your shopping list. 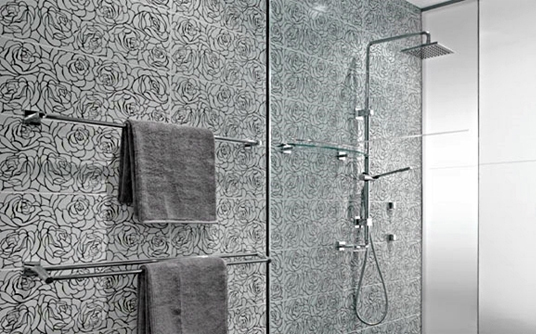 Open-plan showers, where there is no screen door, also reflect the move for the bathroom to function as a larger wet room, though adequate drainage is essential in this scenario. Chromotherapy is also emerging as the latest innovation in therapeutic showering. The showers feature different coloured lights to heal and help boost your mood, by reportedly adjusting the chakra patterns in your body. Contemporary tapware is all about looking good while saving on your water bill, with innovative design now giving you a practically infinite range of styles. Even the larger rainforest showerheads now come engineered to diffuse the water with air bubbles, so you save on water without a hint of compromise. If you are replacing tapware look to choose from the same range – so you enhance the seamless look of your bathroom.